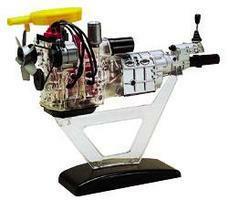 Shop online for 18 plastic model engines at discounts up to 40%. 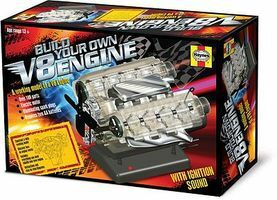 Revell-Monogram is ranked #1 out of 7 plastic model engines manufacturers, followed by Haynes, and Roden Model Aircrafts. 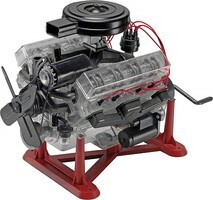 This is a 1/4 Visible V-8 Engine Plastic Assembly Kit from Revell-Monogram. This is a skill level 3 model, recommended for ages 12 and up. This is the Visible Working V8 Engine w/Electric Motor & Sound from Haynes. This is the Hanyes Internal Combustion Engine from Perisphere & Trylon. Suitable for Ages 14 & Older. 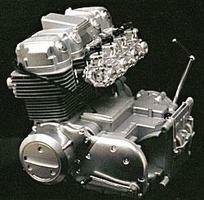 This is a 1/3 Plastic Motorized Working Model of the Honda 750 Four Cylinder Engine. It's a skill level 2 model for ages 12 and up. This is a 1/5 Plastic Visible Mazda Rotary Engine made by Minicraft Model Kits. It's a skill level 2 model for ages 12 and up. 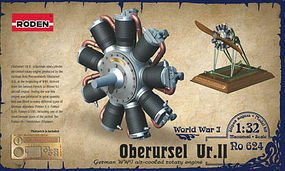 This is the 1/32 Scale Oberursel Ur.II Engine Plastic Model Kit from Roden. 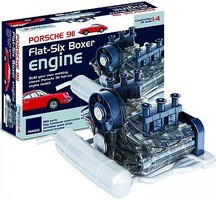 This is the 1/32 Scale Hispano-Suisa 8AB Engine Plastic Model Kit from Roden. This is the 1/32 Scale Mercedes D.III 160HP Engine Plastic Model Kit from Roden. 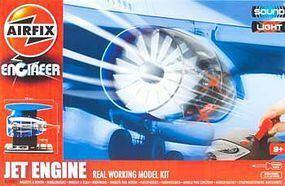 This is the 1/32 Scale Gnome Monosopape Engine Plastic Model Kit from Roden. This is the 1/32 Scale Wolseley Viper Engine by Roden. Suitable for Ages 14 & Up. This is the Hanyes V-Twin Motorcycle Engine from Perisphere & Trylon. Suitable for Ages 14 & Older. This is the Water Pumping Station Educational Kit from the Academy Hobby Models. Suitable for Ages 14 & Older. The SRT Hemi engines started with the 6.1 Hemi, with 425 horsepower at 6,000 rpm (matching the 426 Hemi), and torque of 420 lb-ft at 4,800 rpm. . This is the 1/32 Scale Hispano Suiza 8A Engine Plastic Model Kit from Roden. This is the 1/32 Scale Gnome Monosoupape 9B WWI Air-Cooled Rotary Engine Plastic Model Engine Kit by Roden.